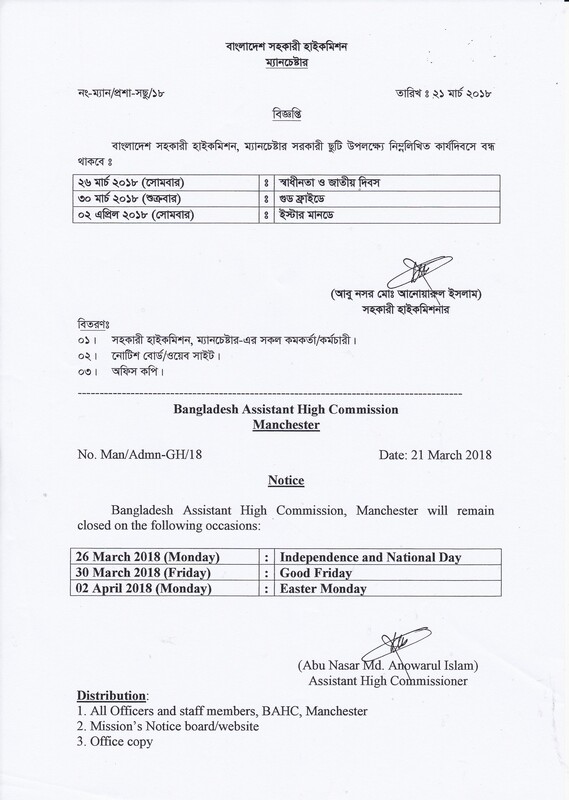 The Assistant High Commission of the People’s Republic of Bangladesh, Manchester will be closed on the following occasions. Independence and National day : 26 March (Monday) , 2018. Good Friday : 30 March (Friday) , 2018. Easter Monday : 02 April (Monday) , 2018.